Dr. Naseem Helo graduated from the Loyola University Chicago Stritch. He did his internship at the Loma Linda University and completed his residency program at the Cleveland Clinic Foundation. He is specialized in Radiology and board certified in Diagnostic Radiology. 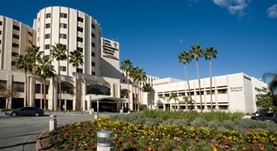 Dr. Helo has been in practice for more than 3 years and is affiliated with the Loma Linda University Medical Center. During his career, he has also contributed to two publications of clinical interest. Dr. Naseem Helo has contributed to 2 publications. Visceral artery embolization after endoscopic injection of Enteryx for gastroesophageal reflux disease. Helo, N.,Wu, A.,Moon, E.,Wang, W.; J Radiol Case Rep. 2014 Nov 27. Respiratory failure from an upper gastrointestinal series. Helo, N.,Hoss, D.,Girguis, M.; Eur Respir Rev. 2014 Sep 02.